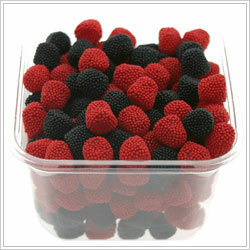 A European-style confection, Raspberries & Blackberries are filled with sweet fruit juice in the centre of each jell. Bathed in a shower of crunchy non-pariel seeds to create a berry-like finish. 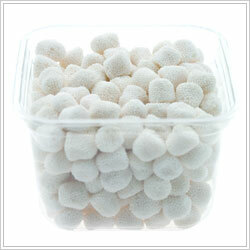 Champagne flavour is infused into the heart of each jell centre of these delectable Champagne bubbles. There is no alcohol in the candy, just a refined and complex flavour reminiscent of white grapes for an elegant bite of the bubbly. 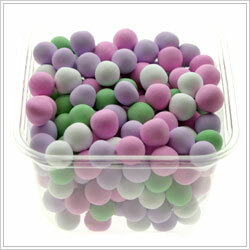 Chocolate Dutch Mints® are a Jelly Belly original. The classic confection has a creamy mint centre drenched in dark chocolate and finished a crisp, candy shell with a pastel satin finish.